A COLLECTOR'S PIECE. Welcome to an opulent French Estate in Rio Vista, nestled on approx 2 gated acres in the most sought after location in Alpine. The palatial, well manicured grounds are ideal for outdoor entertaining, showcasing a pool/cabana, sports court, bocce & unlimited seating surrounding a cuisine exterieure extraordinaire. The European design & detail in this home features special lighting for artwork and handcrafted moldings & trim. The grand foyer opens to an impressive, large scale, double-height, formal living room with a hand painted mural of the French countryside. The majestic theater showcases a vaulted ceiling with a Tromp L'oeil masterpiece and is ideal for grand scale entertaining. Enjoy the cozy library/wine bar for an intimate setting. The oversized, state-of-the-art gourmet kitchen is a chef's delight and opens to a dining room designed for royalty. Offers a custom 3-car garage, generator & property surveillance. 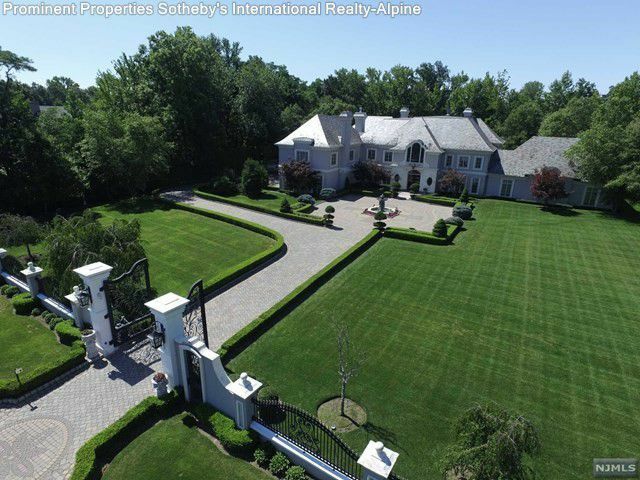 A perfect estate for the discerning buyer.